The 'Wayward And Defiant' Life Of Journalist Rebecca West A new biography by Lorna Gibb glosses over West's writing to focus on her remarkable, tumultuous 20th-century life. Reviewer Michael Schaub says the book is well-researched, yet reads like a novel. "There is no such thing as conversation," wrote Rebecca West in her story "The Harsh Voice." "It is an illusion. There are intersecting monologues, that is all." The same could be said for books, as well — even the best histories and biographies are necessarily filtered through the sensibilities of the author and reader, and some of the best literature is the result of those monologues, those stories, intersecting. 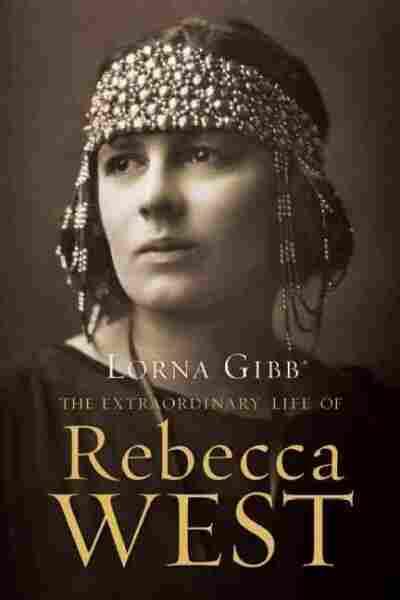 Lorna Gibb's excellent new biography of the legendary British writer Rebecca West is full of those moments. West led a remarkable life, going from would-be actress to pioneering feminist journalist to one of the United Kingdom's most respected and enduring writers. She associated with some of the most famous artists and thinkers of the twentieth century, but it's hard to imagine that any of them were as fascinating as West, a "socialist and Thatcherite, a defender of women's suffrage, a disciple of St. Augustine and lover of H.G. Wells ... and more, much more." But her heart never seemed to be in acting anyway. The "wayward and defiant" West was an early suffragist, and soon gained fame for her socialist, feminist newspaper articles — one of which was a harsh review of a book by H.G. Wells, who insisted on meeting her. It wasn't exactly love at first sight — West initially found Wells (who was married) to be "one of the ugliest men in England" — but the two authors soon became lovers and had a son, Anthony West, together. The affair would eventually come to an end, and the two remained friends, but Anthony would resent his mother for the rest of his life. (In an attempt to avoid scandal, Anthony was raised, for a while, believing that Rebecca West was his aunt.) West's reputation remained largely unharmed, though; she spent her later years writing her masterpieces Black Lamb and Grey Falcon: A Journey Through Yugoslavia and The Fountain Overflows. When she died in 1983, she was one of the world's most well-known journalists and novelists. The sheer breadth of West's bibliography makes her a difficult subject for any biographer, and it's remarkable that Gibb manages to tell her story in such a comparatively slim volume. But Gibb is more interested in West the person than in West the writer — there's very little discussion, and no analysis, of West's actual literature. More a biography of a writer than a literary biography, Gibb focuses on West's relationships with her family, and her evolving (and sometimes conflicted) political beliefs, not the novels and journalism that made her famous. But that's not a problem. West's life was so fascinating, and so tied to twentieth-century history, that the story itself is fascinating enough. (Still, readers who haven't yet discovered The Fountain Overflows and The Return of the Soldier would do well to experience those books before reading Gibb's biography.) It helps that Gibb's prose is so earnest and energetic-- much of this book reads like a novel, and while she doesn't dwell much on West's writing, she's obviously a huge admirer of the author. It's especially impressive that Gibb manages to chronicle West's often complicated life in an even-handed, coherent way. Fast-paced and well-researched, The Extraordinary Life of Rebecca West is a fine biography of a writer whose life and career was full of fascinating contradictions and intersections.